It was early dawn, the dirt road crossed the sunflower field in the Uruguay countryside and Federico thought about paths that lead to nowhere. He couldn’t tell for sure if what he trod upon with his leather trainers was made of light dirt or sand. It was Luiza who spoke of dirt, and she was much more into nature than he was, since he was born at the capital city. When Federico announced the day of their departure, Luiza asked if they could leave the house early in the morning—that house where they had lived together for so many years—so they could spend some time there before the long journey. “It will be good for you. Their professionals are better than the ones we have here.” He got closer to his wife. They remained in each other’s arms until the sun rose behind the grassy hill on the other side of the highway. “I trust you,” he answered calmly, as if he meant it, and walked slowly back to the car. The automobile parked at the plain field after the shoulder on the road, under the crown of the carob tree, had its backseat filled up to the top by cardboard boxes closed with tape. Federico decided to make some space in order to see through the rear-view mirror. Organizing things always made him less nervous. After repositioning the “fragile” box and the one labelled “crayons/brushes,” he closed the back door and looked for the stuff stacked inside. He thought the void he was felling was hunger. He made himself comfortable on the car seat, ready to drive. Two blue butterflies whirled around in front of the windshield. At the field, a yellow lining spread itself until it met the horizon. At some spots, the morning light gave a golden hue to the thin layer of mist above the sunflowers. Federico didn't believe in beauty anymore; he just wanted to get out of there. He thought she was taking too long, but he didn't want to go back to the neighboring road. Luiza would get nervous if she noticed he was nervous And he would be even more nervous if he realized that she didn’t realize anything, not even where they were. Each time he left her by herself, he was afraid to go back and discover she didn’t know anything anymore. Luiza slept until border with Brazil, where they had lunch. The wind had stopped blowing and the ruthless sun reduced shadows to almost nothing. The cicadas were calling for the siesta, but the couple could not stop. They were passing through Rosário do Sul when the wife seemed very agitated. The husband thought it was better to give her medication early. He needed to drive in peace until late at night, until he got tired, until he could find a cheap and safe place to spend the night. He took the pill bottle from his shirt pocket and shook it in the air. She sighed deeply, looked down and did as she was told. Federico punched the steering wheel. Two blue butterflies whirled in front of the windshield. “Don't yell at me,” she said almost crying. “Yes, he did.” She looked at her husband, who could not face her. “Van Gogh would understand me quite well. We could be good friends,” she kept looking at her husband, who could still nor face her. By nightfall, right before Cruz Alta, they stopped at a convenience store that should have been nice and clean some decades ago. There was only soda and packaged snacks for sale. The packages were greasy. Next to the fridge, a skinny rooster walked over something that once was a pool table. Newspaper was spread out on the floor, surrounding old buckets that had probably been placed underneath leaks in the ceiling. The railroad that led to Santa Maria could be seen through the backdoor. Luiza staggered groggily through the store until she reached the restroom. Federico felt guilty when he thought she really fit in well in that place. He felt guilty when he realized that he could go back to the car by himself, put it in first gear, and take off skidding over the gravel that covered the lot in front of that pigsty to take the highway without looking back. He went outside to get some fresh air. Two boys were stoning a one-eyed scabby dog. Luiza was back a few minutes later. She yawned twice, her eyes were half-closed. They got into the vehicle slowly and headed north. After a few kilometers, they came across an old, beat-up freight train. It was going in the opposite direction on the railroad that bordered the road on the left-hand side of the car. Behind the wagons, which passed by slowly, the sun was setting big and red. Luiza slept while hugging her drawings and, for a few minutes, Federico believed everything was going to be alright. 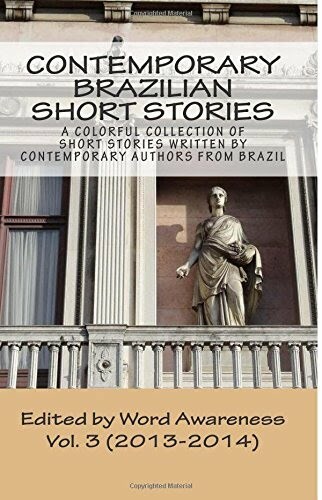 She has short stories publishes in collections, such as Inventário das delicadezas (2007, “Inventory of Courtesies”) and Outras mulheres (2010, “Other Women”), as well as VOX Magazine (2011) organized by the Euvaldo Lodi Institute (IEL), Rio Grande do Sul Branch. She is also the creator and curator of the Vereda Literária, an annual event that discusses literature and takes place a few days of the Porto Alegre Book Fair.